The Supreme Court’s decision to overturn Asia Bibi’s conviction has sparked violent protests led by the popular and influential Tehreek-i-Labbaik Pakistan (TLP) party. What awaits Asia Bibi in Pakistan is almost certain death at the hands of angry mobs who wish to see her hang. Asia Bibi, a Christian Pakistani woman, was convicted and sentenced to death by a Pakistani Court in November 2010. The facts of the case have always been subject to fierce debate. Yet, reported inconsistencies in witness testimonies and fragmented evidence did not prevent the court from securing Bibi’s conviction and from passing the death sentence. In 2014, the Lahore High Court upheld her death sentence. Nonetheless, the execution was stayed in July 2015, when the Pakistani Supreme Court agreed to hear her appeal. It was listed to take place during October 2016. Unfortunately, the appeal had to be adjourned after one of the three judges due to hear the case, Justice Iqbal Hameed-ur-Rehman, recused himself quoting a conflict of interests. Two years later, on October 31, 2018, the Supreme Court handed down the judgement acquitting Asia Bibi. The judgment indicated that the prosecution failed to prove its case beyond reasonable doubt. The decision of Pakistan’s highest court appears to matter little to the protesters. They appear to have little respect for law and legal procedure. It is clear that forcing Asia Bibi to stay in Pakistan amounts to the imposition of a death sentence, what changes is that the execution will most likely come at the hands of an angry mob, not under the control of the justice system. This prediction is not far removed from reality, protesters are already calling for Asia Bibi to be hanged. Pakistan has a very long history of mobs exercising their own justice for alleged blasphemy or other related offences. For example, the BBC reported that a Christian couple in Kot Radha Kishan were beaten to death and burnt by a mob for allegedly desecrating the Quran. Reportedly, their legs were broken prior to burning so that they would not be able to escape the fire. The BBC also reported on the case of Shahbaz Bhatti, a Christian Pakistan Minorities Minister, who was killed in an ambush for attempting to reform the blasphemy law. The violence is not isolated to those who commit the spurious offence of blasphemy either. Take the example of Shahbaz Gormani for instance. A lawyer defending Junaid Hafeez, a university lecturer accused of blasphemy. His house was raided by gunmen on motorcycles who warned him to withdraw from the case. Shahbaz Gormani had taken over the case after Hafeez’ first lawyer, Rashid Rehman, was killed. Reports of similar cases are common. The Pakistani government must be fully aware of the high-level risks that face Asia Bibi in Pakistan. Fearing for the safety and life of his wife, Ashiq Masih, Asia Bibi’s husband, recently called upon President Donald Trump, U.K. Prime Minister Theresa May, and the Canadian Prime Minister Justin Trudeau, in a plea for help. The Pakistani government must now decide whether they are able to guarantee peace and stability in Pakistan. If the Pakistani government is not able to make such guarantees, Asia Bibi should be allowed to seek a safe haven elsewhere. As the eyes of the Christian world are fixed on Asia Bibi, there is another Christian captive suffering for her faith. Fifteen-year-old Leah Sharibu was kidnapped by the Islamist terrorist group Boko Haram (known to some as the Islamic State of West Africa) in February along with 110 other girls and one boy from a school in Dapchi in the Yobe state of Nigeria. 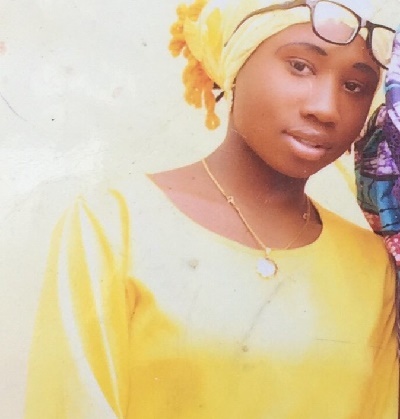 Five were killed (possibly trampled to death in the trucks during the abduction), but all of the other girls have now been freed—except Sharibu, who has resolutely refused to convert to Islam. Conversion was set by Boko Haram as the precondition for release. Boko Haram has alternatively threatened to kill the teenage girl, keep her as a life-long slave, or only release her if her parents pay a massive (and unaffordable) ransom. According to the girls who were with her, Sharibu told her friends that she would rather be killed than convert to Islam because, “I am a Christian.” The girls begged her to convert—at least temporarily—but she refused, and thus was not permitted to join the other girls when they were released. These stories—the murder of more Coptic Christians in Egypt, the plight of Asia Bibi in Pakistan, and the ongoing captivity of Leah Sharibu in Nigeria, not to mention an ongoing crackdown on Christian churches in Communist China–remind us in the West that while things may be getting difficult for our Christian communities, our concerns are almost trivial in the face of the suffering endured by Christians around the world. The fact that a fifteen-year-old girl is willing to face the horrible prospect of permanent enslavement or murder by a fanatical Islamic terrorist group with such courage should make us all stop and wonder how we might face such circumstances. A final note: Leah Sharibu’s parents are begging for prayers for their daughter. Spare a thought for her in the coming days.